Issue - Engine stalls after car has been idling for 10+minutes. ONLY stalls in Park or Neutral. Does not stall in Drive with foot on the brake. No issue when running cold. No codes are coming up. 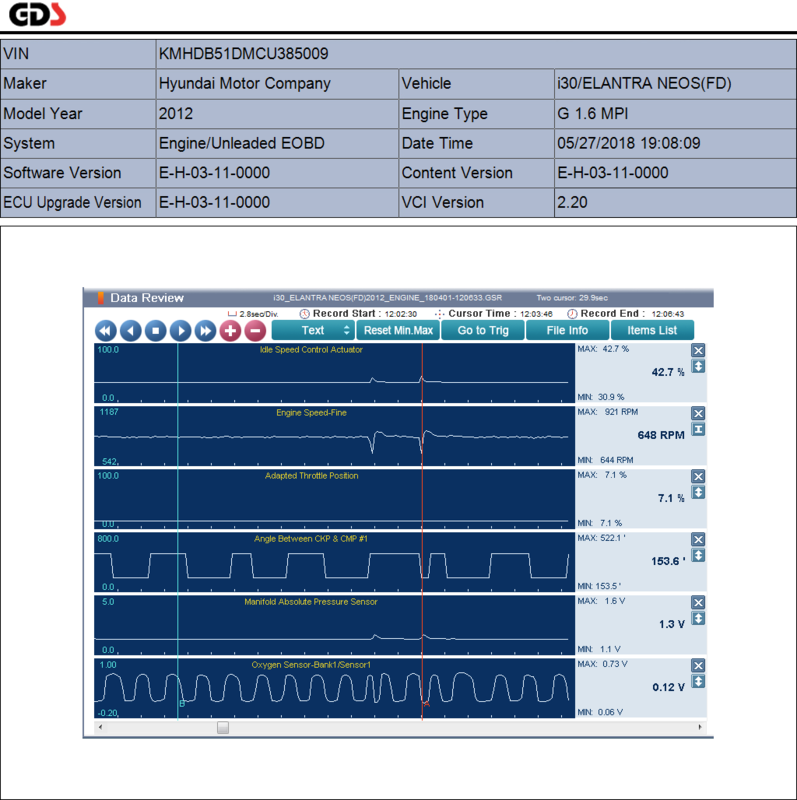 It has been taken in for diagnostic at 2 hyundai dealers now - both are staying no error codes are coming up when this happens. Car starts immediately after engine stall. Will stall again after a restart within 1 minute when in Drive or Neutral. History - Car had originally a piston misfire issue. Lots done trying to resolve it including: new spark plugs, coils tested (are fine), throttle body clean, throttle reset, new fuel filter. In the end, changing the spark plug gap to 0.035 worked. The engine stall issue started before the gap was changed. My reply here is merely to let you know Im thinking about this. No solution comes to mind. You say: ". ONLY stalls in Park or Neutral. Does not stall in Drive with foot on the brake. No issue when running cold"
Have you actually waited 10min + in drive? I ask this so we can eliminate that function. Does the car have the eco auto engine stop at stationary feature ? No stop start functions in any Australian delivered i30 Alan. Except maybe this one! The reduction of your spark gap suggests insufficient high voltage from a coil. Was it one cylinder that was misfiring ? If so re-check leads and coil. If it was random misfire check voltage on primary side of coils. With the stall. Does it shut down immediately or gradually die? The former would indicate electrical problem, the latter indicates fuel. What is the Taco telling you...slow decline or RPMs flick up and down? You say it does stall later in D so the discounts any data loss from the transmission 'module'. At this stage I would be running a test to see if fuel pressure remains high. Rechecking, volts to coil, run live data ..watch ignition timing,.... correct or fluctuates? Most of the above comes back to the ECU, could easily be your culprit. Importantly, the spark gap reduction tells me that you still have a faulty component and it is being ignored. I would wager that this and the stalling are connected. nzenigma - I have left it in drive, footbrake sitting the driveway for 20+ with no rpm fluctuation or stalling. 100% not an issue in Drive. AlanHo - not sure, but of all the mechanic talk I've heard from the garages, that one has never come up so I suspect not. Just did some testing in my driveway. Started it again from cold and left it in Park. It lasted 8 minutes before stalling. Dipped in RPMs, recovered before dipping too low and engine cut out. Started up again after stalling no problem. Over the next 10 minutes it dipped in RPMs twice but has countered and idled for another 10 minutes before stalling. Restarted it again. Left in Neutral and it stalled within 2 minutes. Restarted again, left in Neutral for another at least 10 minutes before it stalled. In both Park and Neutral the only consistency is the RPMs dropping and engine recovering - except for when it just can't recover. Care seems to function otherwise as it should. It slowly decreases in RPMs from cold, and can hold a low idle - just inconsistently. During all this the air-con has not been on. Did a final restart, put it in Drive with the footbrake on only. It ran fine for 15minutes. No stalling. Turned engine off at that point. For me, fuel has been checked and checked again and I am leaning towards electrical. Could faulting coils to this? If so, the earlier misfire would easily be connected to both issues. Fuel, sensors, wiring - any thought? Thanks for coming back, that's a really good report, its appreciated. Ok Im with you on the electrical fault , good that fuel has been checked tho. If you had a scan tool it would be interesting to watch the spark timing. At a guess it is fluctuating and that will show in RPM movements as you have stated. its why I asked, because Im convinced you misfire and stalling come down to the same thing. Its not common , but on the i30 the crank sensor can play up or fail totally. It will cause stalling among other things. If it was my car, that's the next step, change it. Easy job. Good luck. Might try that tap method diagnosis to ensure its the culprit. Funny, that sensor was only my radar. I don't understand it well enough, but it wouldn't a faulty crank sensor stall in the engine in Drive, as well as Park and Neutral? There's nothing else you can think of in the the ignition system that could cause this? Whenever I've had issues in the the past I've kicked myself when the problem was caused by the most basic thing. Ok, gave it a tap and nothing. Not 100% sure the the crank shaft sensor is the culprit. nzenigma, i just realised you live close by. I'm in Everton Park. Happy to come by and bring the car by if you're interested? I'm ready to take it to an auto electrician, but if you think you could rule out a few things it would help. My explanation, relates to whatever is causing this problem - the ECU is making adjustments (fuel, timing etc) according to driving conditions. 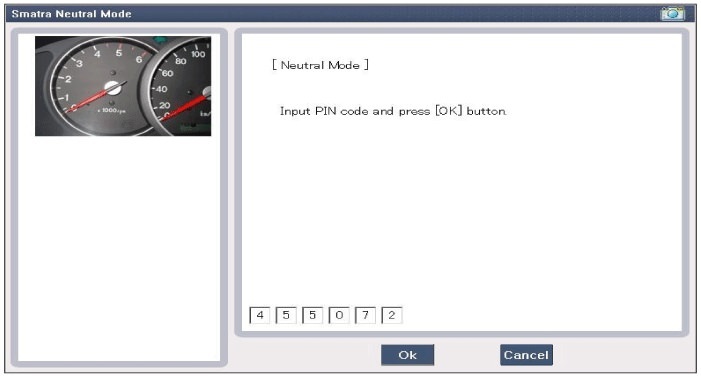 My manual box Bimmer still uses an ECU from an auto vehicle. It rough idles for 30secs then thinks , all good, Im rolling down the street in neutral. 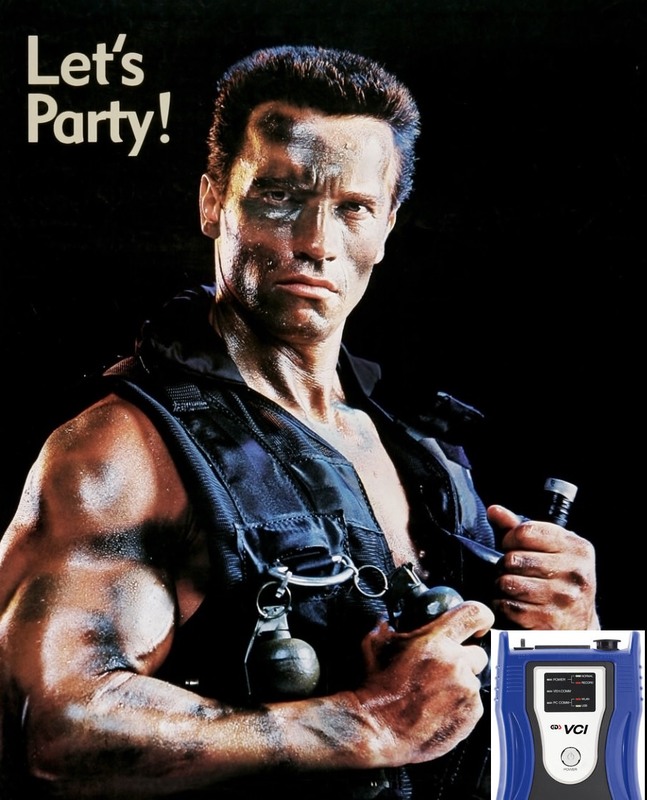 Open party mate bring the grenades. Found a pattern but unfortunately I did not have certain sensors selected at the data record. Relates to angle between ckp and cmp #1 as that's all I've got to go on but at the moment the idle dives this values looks erratic or swinging numerous times between 522 degrees and 153 degrees. I don't know what this indicates if anything but once i work out how to get and image up I'll add it hoping some guru out there can translate the data. Just an observation at this stage. Red line is the marker on the low point for RPM. The engine idling (with A/C on) approx. 10 min. (at about 680 rpm) before very slight rough running began...Did not stall. Switched off A/C car ran approx.. 1 min. then stalled. Repeatedly started then stalled after approx. 1 min. Changed cam sensor, still stalled. while running, I removed fuel pump relay, engine continued to run for approx..30 sec. before beginning to stall, at this point reinserted relay, engine revved above 1000rpm then returned to normal rpm. But did not stall. Repeated the relay test; got same result. Engine continued to run with engine revs dropping then recovering at (assumed) point in time when it would normally stall, but did not stall. Remained in that condition. Obviously something had changed, is the fuel pressure regulator (situated in the fuel pump) faulty, pressure too high? Or did the ECU status change? It may be worth disconnecting the EVAP valve (hose or electrical) to see if this alters the problem. Also wild guess, remove fuel filler cap in case excessive pressure in tank is being detected. Live data shows waveform of Crank and Cam Position sensors ( ckp & cmp). It varies slightly before breaking down at the time of stalling. This seems constant with an earlier scan of #1 ignition timing. It sat at 4-7 degrees until the stall when it went 15-27 deg. In hindsight it would have been nice to have swapped the cam sensor, however cannot find reason for fuel pump experiment to affect it. More likely to affect/trick ECM. Awesome work Guys. May not be sorted but for your efforts. It was great to rule out a few things Sunday. I'll look into disconnecting the evap system to see how it behaves. Any links to where this lives under the hood, or car, would be great. I'll take the car out to work tomorrow to see if it still just rough idles or stalls. Seemed to steadily / consistently rough idle on Sunday after playing with relay so will monitor that. I'm still keen to take out the fuel pump/filter cartridge again and just make sure nothing is loose. If its something as stupid as an unclicked connection or o'ring/spacer I'll kick myself. Mightn't be until the wknd that i have time to get to anything, but i'll check the thread to see if you've thought of anything else. Hi mate, just discussing this off line with Gerard. It wasn't until I saw the above screen shots that I became concerned about the fact that we may have influenced the ECU, eg does it think it is in Drive? It is interesting that the vehicle has sort of come and stayed good after the pump test. It would seem impossible to alter a sensor in that way. Re EVAP (Purge Control Solenoid Valve (PCSV)) Should be on motor rear , high up, on passenger side. Will have hose from tank and electrical connector. "This system consists of a fill vent valve, fuel shut-off valve, fuel cut valve (for roll over), two way valve (pressure/vacuum relief), fuel liquid/vapor separator which is installed beside the filler pipe, charcoal canister which is mounted under the rear floor LH side member and protector, tubes and miscellaneous connections. While the engine is operating, the trapped vapor in the canister is drawn into the intake manifold and then into the engine combustion chamber. Using this purge process, the charcoal canister is purged and recovers its absorbing capability." Went into the dealership this arvo and managed to get the technician to look at it. He cleaned and checked the OIC sensor, then watched the live read for awhile. Basically, he's starting to think it's the ECU - so I was interested in what you wrote earlier Gary about influencing the ECU.... did anything we did Sunday impact the ECU? I did show him the images you upload Gerald. He was able to read them, but they didn't clearly show him what the fault from them. 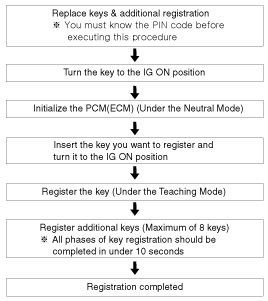 You could then swap those two but then you'll need a new key case, remove existing key and build new remote with old contents from yours but swapping the transponder chip. 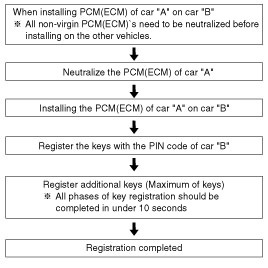 You would also want the donor vehicle details(VIN), paperwork/receipt) that way in the future the programming pin could be obtained because if anyone uses your vehicle vin they will get the wrong code for programming. Wow! Glad it's not me doing all this! With the Parkinson's my brain struggles with complicated stuff these days! Don't feel bad Dazz, my old brain was working overtime on Sunday. Thanks for the update. To answer your questions yes there are two sensors crank ( which we tested) and a cam sensor. "did anything we did Sunday impact the ECU? " Possibly did, which in the long term is bad news, because I would rather find a dud sensor than dud ECU. On Sunday, by removing and refitting the fuel pump relay I caused the motor to increase RPM without actuating the electronic throttle. The stalling problem disappeared. 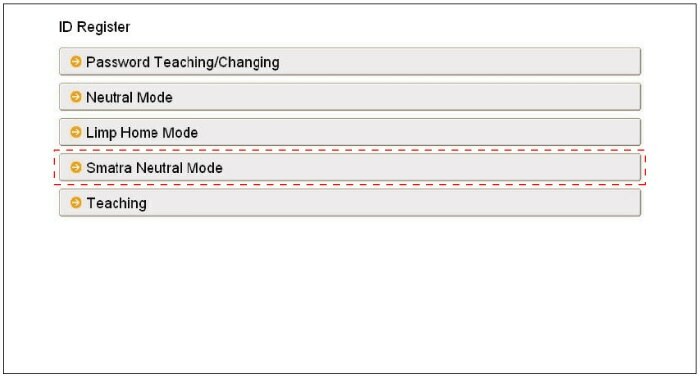 Because a sensor is a 'read only' device the rpm change would have no affect upon it. 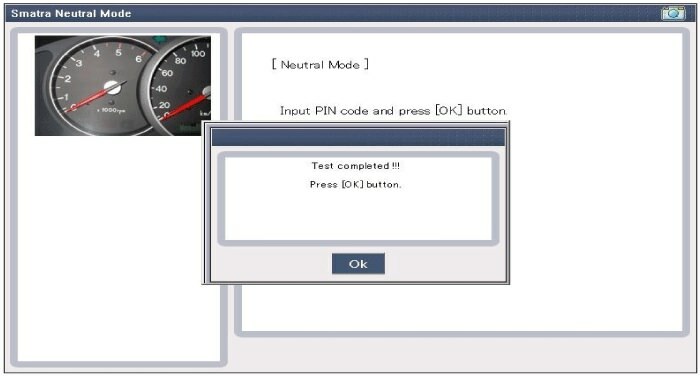 However, the ECU ( in basic terms) has the ability to alter according to drive/fuel/air status and can retrain itself. I think that is what occurred on Sunday. As a matter of interest, did the stalling in idle come back? On the matter of ECU , they give problems so rarely, I have never had to, or been associated with, replacing one. I would inquire at independent shops rather than a dealer. While Gerard has correctly listed all the bits you require for a donor ECU, I ask this: If an brand new ECU is to be installed and programmed, why not re- programme a used ECU? I have FD and GD model ECUs here. If either could be used you are welcome to it. The stalling has come back so i don't think there has been any damage to the ECU. Still idles fine with A/C on in Park in Neutral as it did the other week. I can feel the engine jolting slightly in low RPMs when going down a hill with my foot resting on the accelerator. This is getting a little worse each week so i don't think it will be long until the misfiring happens again. I'm in no rush to replace a ECU, but thanks for the offer Gary. Will give an auto electrician a go before that. What happened to the dealership swapping out the cam sensors? The stalling has come back so i don't think there has been any damage to the ECU. Hi mate, I wasn't sure if that was your concern. No cant damage it in that manner. The ECU is just a computer. Same as your PC, you put information in and it will perform certain functions... different information= different result. As I was saying to you last week, Im not much into coincidence , so I am fairly sure that the misfire and stalling are related. If it comes down to ECU or getting another opinion let me know and I will make some enquiries first. The dealer will certainly gouge your wallet and the average auto electrician may not be equipped to do this work. Cheers Gary. And if 2nd hand, get the whole package (ECU, SMARTRA, keys ,ignition barrel) as I mentioned before including VIN and an invoice so you can get the codes. The ECU needs to be neutralised to be matched with another smartra but needs to be done in the original car. Love it when you work as a tag team. It's great that you have met up a few times too! The EMS can be set to the status of "neutral" by the tester. Well that ruined a future deep sleep. Essentially it tells me that I would need to have a functioning donor vehicle to do just an ECU swap. In regards to Ben's car, an ECU + everything change would be rational if we had a suitable donor and could do a full scale swap. Time consuming because ( from memory ) can only get at the smatra if the dash is removed. Bummer if it is not the ECU/PMC. so need some sound minds on this. Possible but not easy to get to, young body and flexibility an advantage. You just need all the bits , then you could plug the set in and reset but you could also do this. Option 2, do same as above but punch the roll pin out and swap blade but will need diagnostic tool to resync the remote.